Robert Moevs Interview with Bruce Duffie . 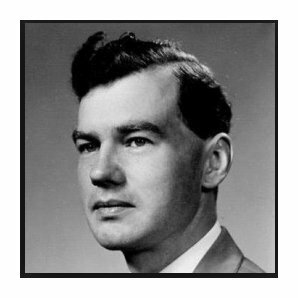 . . . . . . . .
Robert (Walter) Moevs (2 December 1920, in La Crosse, Wisconsin – 10 December 2007, in Hillsborough, New Jersey), studied with Walter Piston at Harvard College (A.B., 1942). 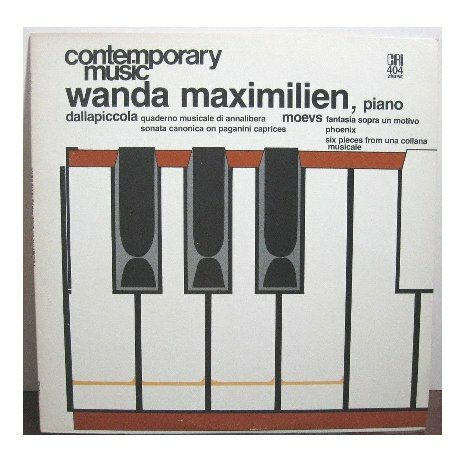 Along with other leading American composers before and after, he studied with Nadia Boulanger at the Paris Conservatory from 1947 to 1951, and at Harvard University (A.M., 1952). From 1952 to 1955 he was a Rome Prize Fellow in music at the American Academy in Rome. He held a Guggenheim fellowship (1963-1964). Moevs taught at Harvard University from 1955 to 1963. He was composer-in-residence at the American Academy in Rome in 1960-1961. In 1964 he joined the faculty of Rutgers University in New Jersey, where he was a professor from 1968 to 1991, and chairman of the music department at its New Brunswick campus from 1974 to 1981. In addition to his activities as a composer and teacher, he made appearances as a pianist, often in performances of his own works. 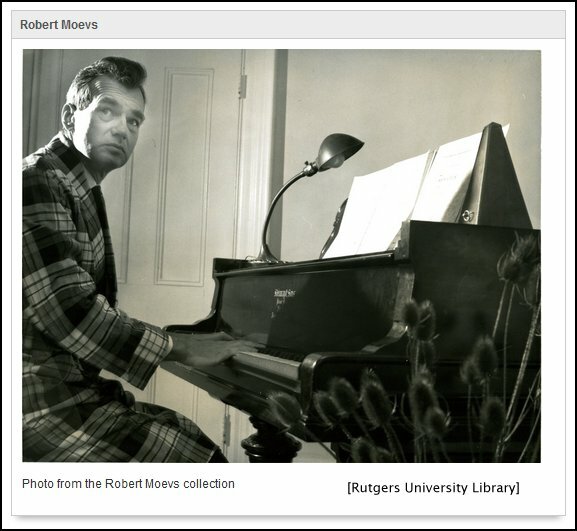 Robert Moevs is part of a generation of composers who came of age musically in the years immediately following World War II. Bold new works of Béla Bartók and Igor Stravinsky, heard amidst the upheavals of the war, inspired many to take a next step: to reject much of the past, forging a new musical language which built on the path-breaking atonality and compositional rigor of Arnold Schoenberg and Anton Webern. He was well placed to become a leading American representative of the post-war international movement in the world of music. After serving in World War II as a pilot in the United States Air Force, Moevs’ formative years were spent in Europe, first as a student in Paris, and later as a recipient of the coveted Rome Prize. 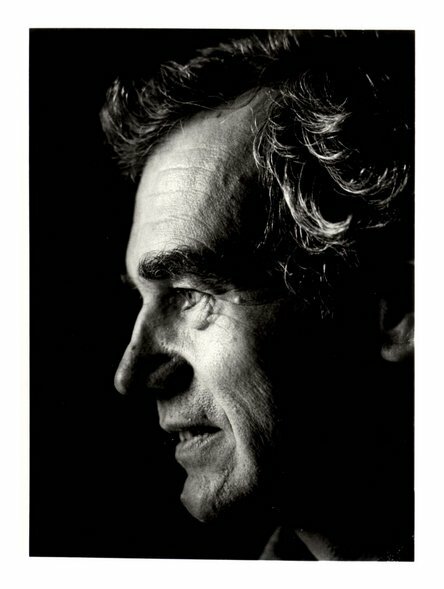 In close contact with the tightly-structured works of Pierre Boulez, and stunned by the raw sound of Edgar Varèse, Moevs synthesised these styles into what he termed “systematic chromaticism.” Perhaps because of his deep-seated love of the music of such masters as J.S. Bach and Beethoven, Moevs never adopted complete serialism. Based on intervallic procedures that could be heard and recognised, his music retains a compelling and visceral dynamic impact. As a composer, Robert Moevs developed a compositional method based on intervallic control as opposed to specific pitch sequence that he described as systematic chromaticism. The creator of a rich body of orchestral, chamber, vocal and instrumental music, he has received major performances by George Szell and the Cleveland Orchestra, Erich Leinsdorf and the Boston Symphony, and Leonard Bernstein and Symphony of the Air. World-wide recognition came in the form of the Stockhausen International Prize in Composition, which he was awarded in 1978, for his Concerto Grosso for Piano, Percussion, and Orchestra. 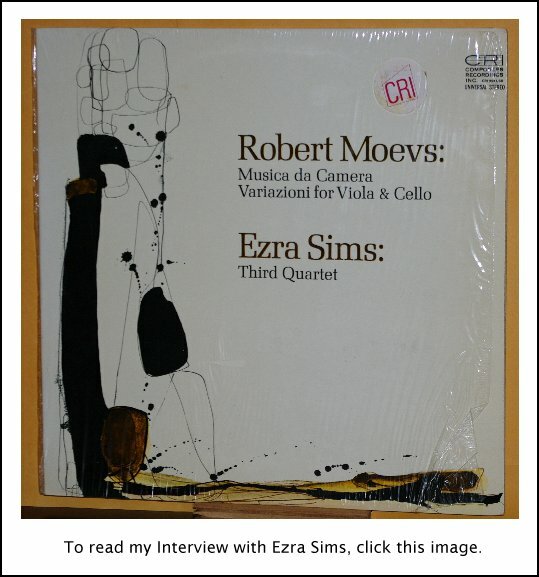 Moevs’ style has been described as “an extremely rich resource,” because he found a unique way to combine identifiable tonal centres with serialism, creating a musical style the excitement of which arises out of the underlying tension between the realism of tonal centres and the abstraction of serialism. 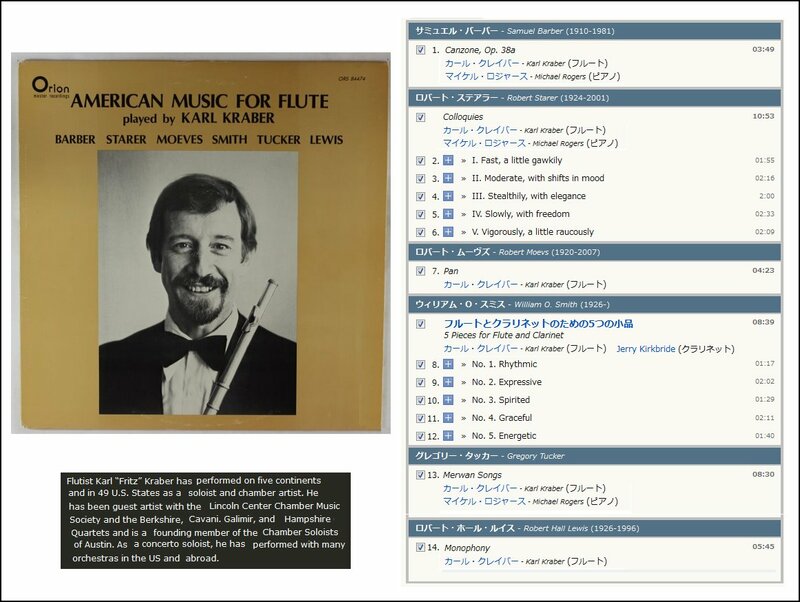 It has always been one of my greatest joys to be able to feature lesser-known musicians of the Classical field. First on WNIB, Classical 97 in Chicago, and now on my website, these ‘oddball composers’ (as John von Rhein described them in the Chicago Tribune) usually elicited positive response from listeners, and now readers. 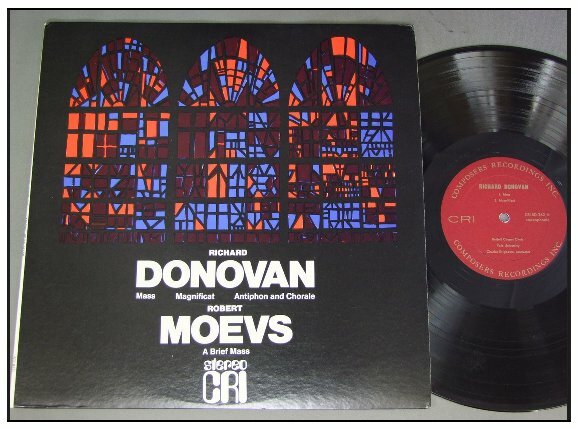 One such distinguished composer is the man who is featured on this webpage, Robert Moeves (rhymes with waves). His music was on some recordings that also featured my other guests, so naturally I endeavored to meet him. Family considerations brought him to Chicago at the end of 1988, so we arranged to get together at my home. As we were setting up to record our conversation, I was going through the recordings I had of his music . . . . .
Bruce Duffie: These are the records that I have of your music so far. BD: Yes! I don’t usually don’t enjoy pieces for solo and instrument unaccompanied, but this one I really enjoyed. RM: Good! I have two pieces for solo flute. This one I wrote back in the ’50s, and I have one much more recent than this – also much more difficult. Then there is the Concerto Grosso. That’s a big piece for piano and percussion and orchestra. On the other side is a piece called Windows by Jacob Druckman. They are both done by Arthur Weisberg and the Orchestra of the 20th Century before it faded. BD: I don’t keep up with all those various groups. It’s no longer around? RM: No, no, but it was for a number of years in New York. They put out this recording and a couple of others, so for larger-scale forces, that’d be the recording. BD: When I do the program for you, I want to be sure and have a balance — a large work and couple of small works. RM: Right! Since I’ve written quite a bit of orchestral music, there should be something. BD: Are all the works that you write on commission, or are there things you feel you just have to write? RM: Most of them are on commission; almost everything. But whether they were or not, I would certainly be writing. Right now, for example, I finished this woodwind quintet, which was not commissioned. It’s now being published by Press Air without my having heard it, and I’m a little nervous about that because that hasn’t happened before! BD: I would think that you would insist that you hear it once to make sure the parts were correct. RM: Yes, but I haven’t! That was a piece I wrote without a commission. People are saying they might play it, but it won’t be until next year. The piece will be out by that time. BD: Are you ever surprised by what you hear when people play your music? RM: You can be surprised, but I’m usually not upset, though, because in recent years I’ve had good performers and I discovered that being good performers they approach the piece with seriousness, and their own sense of what it means. If I tamper with that and say, “No, it really should go some other way,” they will do it, of course, but it will sound less convincing because they have heard it the other way. So I’ve learned not to interfere so much, unless there’s something really wrong — wrong notes or misinterpretation, or something important. But for nuances and articulation, I can often go along with what they want to do. I’m a little leery about interfering with it. BD: So there is a little bit of a broad spectrum of acceptability in your work? RM: There is some, yes. I always think there is very little, but it was just a practical matter. If I insist on doing it exactly the way I want it, sometimes it sounds less convincing when they play it. They decided it had to be their way, and you can feel that in the performance. Sometimes, of course, when it comes to things like whether something should be played staccato or legato, at that level there’s no question. I’m clear about that, so it’s more subtle than that. BD: So you’d rather have the piece played even if it is a little different than what you imagined as long as it’s convincing? BD: Do they ever convince you so that you change your mind? RM: I don’t know if it goes that far. You mentioned this flute piece, for example. It says at the beginning of it senza rigore, which is to allow the player a certain latitude in how he organizes it rhythmically and for tempo. I’ve had some players who have played it many times, and they tend to grow into the way of performance, so that there’s an inherent possibility of some rubato-type playing. They will, as time goes on, do more and more of that, and make it more and more extreme in the rubato character. That way it sounds good! It sounds very personal that way, and very committed. Maybe that’s why you liked it. Karl Kraber must have played that hundreds of times, and as time goes on he tends to play it faster, and with more rubato. BD: At what point is it no longer your piece? RM: It never reaches the point where I don’t recognize it! [Both laugh] My own daughter was an excellent flutist, and she’s played some of my flute music, and she has that same tendency. She realizes if you put in an apostrophe to take a breath, it is also to help the articulation. So you don’t have to rush pall mall into the following notes. You can take your time, and thus become more at home with the music. She would take more and more time in such places, and would give a sense of articulation, which I thought was very good. It makes me wonder if I shouldn’t put her initials over those apostrophes! So you tend to learn from how they do it. Perhaps it would have been better to put a fair amount of rubato and let them take their time. RM: I have done that. Usually that means going back and crossing out measures. RM: Tightening it up. As the time goes on, you return to a piece and feel that you don’t need so much time to make that point. There might be some repetition or some reiteration in general, and after a certain amount of time, I become impatient with that. So I just cross that out and eliminate measures. That’s what it usually amounts to. BD: When you’re creating a piece and you’ve got the ideas flowing, are you always in control of that pencil, or are there times when then that pencil is controlling your hand? RM: [Laughs] I’ve always had the feeling that the music is dictating what has to come next. I always feel as if I’m a man who answers, and that music is telling me what has to come next. BD: So you’re just a conduit? RM: That’s right. In sense what has to be done, what the music requires is important, because if you don’t have that feeling you’re too likely to impose a system that can be arbitrary or artificial. Naturally I do work with systems of various sorts, but it has to follow the dictates of the music. If it doesn’t, it’s a warning sign. BD: Then you’re fighting against that plot? RM: You can feel it, yes, if not that day the next day. BD: When you’re working on a piece and you’re letting it flow through you, how do you know when it’s finished? RM: It usually tells me. It’s the same thing! I finished the first movement of a string quartet a couple of weeks ago, and I wasn’t really sure that I was near the end because I was going on. Then I realized at one point that this is the place to end. The music has to say this much, and that’s all that has to be said, and it’s right. BD: Is there ever any distress about breaking it off and leaving it, and knowing that you’re never going to tamper with this again? RM: I try to prevent that by being very careful as I go along in the course of a piece. I perhaps waste too much time doing that, because sometimes there are alternate paths. There can be two choices. BD: Each one equally good? RM: It seems so, and perhaps in fact it is so, but I try to find which one is slightly better than the other. I can spend a lot of time at that because one slight change can take you in quite a different direction as time goes on, especially with rhythm. Most of these are rhythmic questions — whether this note should come in after a beat and a half or into the second beat — trying to get that sense of timing. It becomes important because although that’s a detail, when you take the longer version, for example, that could have consequences to make everything which follows longer, and then the whole piece gets substantially longer. It’s very difficult to correct that if it turns out that it’s becoming verbose or too attenuated in time. The only remedy for something like that is to go back and redo it, and I hate to face that. So I spend a lot of time trying to make sure that it’s tight enough on the one hand, and allowing enough time for the effect to be felt and the rhythm to be felt, and to arrive at just the right point. A lot of the problems in composition come down to that kind of decision. BD: We’re talking about timing and ending. Before a piece begins or when you’re starting to think about a piece, are you conscious of how long it will take to perform it, or does that evolve from the natural order of what comes onto the page? RM: You must have a sense of that, too. For some things, like this string quartet, I was simply told that anything twenty minutes to a half-hour would be fine, so I don’t have to worry about that. I simply allow the music to go. 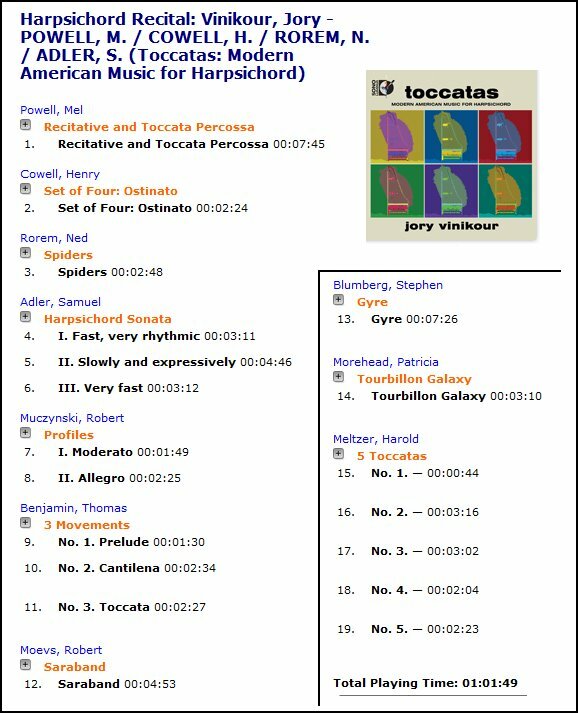 Last year I had to write a piece for solo harpsichord, and the time was supposed to be four minutes and thirty seconds. BD: Did it come out to four minutes and thirty seconds? BD: Obviously it’s the right piece. RM: I had an internal sense, an internal chronometer I suppose, because I didn’t lay out measures that would take four minutes thirty seconds to complete. I started at the beginning and wrote it with that sense, and it came out like that. I don’t know how to explain that, so there is some kind of control. It must be a sense of it which you develop over the years. I’ve been doing it for a long time. For some people it’s a perfectly good way, and others will lay out a certain number of measures at a certain tempo which they know will take a certain number of seconds to perform. BD: Then they fill in the blanks? RM: They work down from there, yes. BD: It seems like that would eliminate a lot of possibilities. RM: It’s systematic, yes, and it’s organized. I can’t do it because I feel it’s too mechanical, but that helps to solve all these problems that I anguish over. I can sympathize with people who start at the other end and lay the whole thing out, say, eighty three seconds’ worth of music, and then start sub-dividing in proportions until they get down to the sixteenth note. BD: But I would think that then the music becomes mathematics. BD: [Gently protesting] But you approach mathematics from the interpretative side and the creative side, rather than from the theoretical side and the practical side. RM: Yes, I feel inhibited by filling in blanks, let’s say. I don’t like to operate that way. BD: Then for your compositions, where is the balance between the technique and the inspiration? RM: You can’t do anything unless you have a good technique. Technique is essential, and it has to be competent, otherwise the result will never be musically valid or satisfactory. I don’t think that’s possible. That doesn’t mean you don’t have a feeling you want to express, an emotion or sense that you want to convey. You must have that. That’s how you start. But I try to work those two aspects out so the music helps to determine what’s going to come next, and how the proportions work out. I don’t claim to rationally understand all this. There’s something mysterious about it, intuitive or something about how the brain functions, and all these details. It’s not so easy to analyze. It’s easier to lay out a system and fill it in. BD: But obviously you don’t find that as fulfilling. RM: I don’t find it as satisfactory. It’s not that much of a challenge, and I don’t feel as if I’ve expressed myself sufficiently to make it worthwhile. That’s what it really comes down to. If I’m not expressing myself in the way that I feel is adequate, I begin to lose the point of doing it. BD: Let me pounce on this idea and ask the big philosophical question. What is the point of music? RM: For me it’s the way of communicating my sense of essential feelings, emotions, sensations, states of mind. Even a moral sense can become involved, a sense of right and wrong, a sense of condemnation or salvation. It becomes universal. It really does, and in the process of expressing yourself honestly and deeply, you touch on what is part of the universal sense, and that should be effectively materialized and communicated. That’s an important task. I think that’s the justification. Of course it doesn’t always have to be so serious I suppose, but basically that’s what keeps us going. It requires dedication and honesty. BD: You say it doesn’t always have to be so serious? BD: It can be lighter, but in this same concert vein, not frivolous. RM: Yes, you can do this lightly, too. Talking about what I’m doing right now, I stopped in between movements of that quartet and I wrote a piece for two pianos which was two minutes long, which is based on a twelve-tone set composed of triads, but they interlock. Each hand is playing its own succession of triadic notes, and starting off very slowly. A quarter note equals 30, and then proportionally going up until it ends as a quarter note equals 175. The two hands of each piano have to cover the entire length of the keyboard to find their notes, and that’s going to be quite a sight to see! BD: It is for one piano four hands, or two pianos? RM: Two pianos. They would kill each other on one piano! RM: I had a great time doing that, and it was certainly a light piece. But at the same time it says something about order and meaning, too. BD: Is that music, or is that a puzzle? RM: I think it’s music! It’s diverting because people should be able hear the diverting character that’s going on. But it’s still organized, and communicates a sense of clear order. That, of course, is pretty systematic, more so than I usually do, but it was enjoyable to do it. BD: In the end, is composing fun? RM: That two piano music was sort of fun! The String Quartet is too serious to be given that label. There is a great exhilaration when you feel that it’s working, and you feel exhilarated and alive. That’s certainly a kind of enjoyment, isn’t it? BD: Does your family put up with your music, and your compositional quirks? RM: Oh, I think they’ve learned to! Yes, they’ve been great champions of mine, which is very helpful in a world that is not always championing. BD: Let’s talk a little bit about the state of concert music today. How do you see it? RM: It’s hard not to get discouraged and depressed over the situation. You can look at it in two ways. The positive way is to say that in the current scene everything is open, any avenue can be explored. You can draw on material from any source on the globe. Any approach to art will be considered valid, and there is a total freedom in the choice of what you decide to call art in the first place. All of this can lead to the development of a new approach to artistic work in the future. That’s one way of looking at it. You can look at it the other way and say that any sense of responsibility to art has been canceled because anything should be considered possible. In view of that fact, any judgment or decision on what is artistically viable or competent or acceptable is limiting, and therefore cannot be accepted. With this kind of negative attack on a sense of standards it in the traditional sense, the practice of the art as a craft, taught and mastered by the artists, is impossible. This, then, is tantamount to saying that we’ve reached the end of our cultural age, and that art as a bona fide expression is coming to an end. BD: I take it you don’t subscribe to that theory? RM: It depends on how I feel when I get up in the morning! [Both laugh] For myself I can’t feel that way because I would stop, and if I stop, life becomes empty and loses its meaning. So the result is that one continues following one’s own sense of what is right and what is competent regardless of the acceptance, or lack thereof, in the outside world. In other words, that means isolation. BD: You don’t feel that it’s elitist, do you? RM: I don’t know really what that means to say that. If you adhere to your sense about doing things that are right, that are correct in terms of the medium for the work that’s in hand, and doing it with the technical skill, then you’re fulfilling your function. There are many ways of escaping from that demand. If you do escape, you can say that the art is of lesser value. Perhaps it’s not art at all. I don’t know where we’re going to go in all of this. RM: At the bottom I have to be optimistic, yes, because I know there have been periods in the history of man where cultures have been eliminated. That doesn’t mean that mankind is going to be eliminated. I like to think about the Middle Ages now. BD: Everything was dormant for a while. RM: Everything was dormant. The Roman Classical civilization was pretty much destroyed, and yet not totally. Great mastery came out of that with Gregorian Chant. All the masters of the Gothic period, and so forth, kept things going in this new way. Unless we’re blown off the face of the earth, I don’t think now that we’re as bad off as that. So I think something must come. BD: Let us focus a little bit on the other side of your career. You’re both a composer and a teacher? RM: Yes, I’ve been teaching for a long time. BD: How do you divide your time between the teaching and the composition? RM: Most of what I’ve been teaching in recent years have been composers, and fugue writing for the graduate program. I do that mostly when I have scheduled times at the University, and I try to find time to work in my own studio on the other days, or in the mornings of those days. BD: Do you get enough time to compose? RM: Well, no. Sometimes ten days or a week will go by when I have to be there all the time, and it gets just too hairy. But I always try to keep my hand in and stay with it. Then there are days when I can get into my studio most of the day, and then it’s fine. So I try to keep going. In the summer time, sometimes we do traveling, but if we go to Rome, as we usually do every summer, I have a piano there, and I can work there too. So I keep music going that way. BD: Is the Roman climate particularly conducive to composition? RM: I work well there, yes. Fortunately, I have a place that is quiet enough. For many years I went to the American Academy where I had a studio, and it was quiet there, relatively speaking. I wrote a lot of pieces there. BD: How have the students changed from when you started teaching to now, if at all? RM: Certain things remain fairly constant because they belong to the mentality of people who are fairly young in their experience of composition — the problems of overdoing, redundancy, clichés, things which are stylistically derivative — this kind of thing. They’re generally characteristic, so the task is to help them hone out all these imperfections and arrive at a style of their own which will be not only personal but more musically valid. BD: How can you, as a teacher, make sure that the style they’re getting is theirs and not yours? RM: You can’t be sure about that. As a rule, I don’t use my music as an example. I teach them. What I do is insist on intervallic integrity in what they do, and insist they do go at their composition with a sense of the intervallic meaning that they have. Their choice of intervals has to be conscious and somehow be organized. That’s what I do, so in that sense I’m sure that’s true, but the ways of arriving at a personal statement from that premise are infinite. I have some Oriental composers, and I like working with them because they seem to have inherently that sense of intervallic perfection. Maybe part of that is their Oriental background. With the encouragement of insistence on this intervallic control, they sometimes produce the most interesting and original results. It’s fascinating to see. BD: Have you learned from your students? RM: At that point, you begin to at least become confirmed in the possibilities of composition. They all fall into a certain way through habit of doing things. But this kind of thing can help to remind you that there are many avenues that can be followed, and that sometimes I can’t help them. Even there it sometimes will take too long, or they’ll do something a second time and it didn’t need to be done. So it’s interesting to work with them. BD: While we are talking a bit about working with students, there is this huge proliferation of recordings, and the availability of everything. Has this made your job easier or more difficult as a teacher, and their job easier or more difficult as a student? RM: It certainly made it easier in the sense that if you have a point to make, you can usually find a recording of something that will illustrate it. For example, if you feel they should be putting some percussion in their pieces, now it’s fairly easy by turning to recordings of percussion music. Certainly when we were starting, back at the time of the World War, there weren’t very many percussion recordings. Varèse’s Ionisation had come out, which was sensational. We all seized on that, but since then there have been very many more... and also for all the instruments and the different combinations. Even the electronic aspect and all these things are available. Of course, it also means that if a student brings in a passage which seems rather trite or old-fashioned, it’s fairly easy to ask them to go listen to a recording of Bartók. It’s all been done, and more skillfully, and they should go on from there. BD: Even if it’s trite, if the student arrived at it himself with no prior knowledge it should not be used? RM: Yes, that’s the big problem of operating in a vacuum. You think that it’s great, not realizing what’s been done. BD: What if it is great, but not original? RM: It can be for him, but then when you realize that Bartók or Hindemith or Stravinsky or someone has done these things, that gives you a big boost to go on from there. BD: That doesn’t then close off an avenue that the new composer might have explored even better or differently? RM: I hope not, but he should be aware of it so that what he does can be played off against what already exists. That’s important. That’s the difference between operating in a closed environment and one which is open to cultural influence. RM: I have had some very good performers, yes. BD: What about the recordings? Have you been pleased with them because they have more permanence and more distribution? RM: Yes. In general, I have, yes. They’ve been good performances. Usually they’ve been pieces that have been played quite a number of times, and gone over and adopted by the performer in the way we set it at the beginning, so that’s fine. 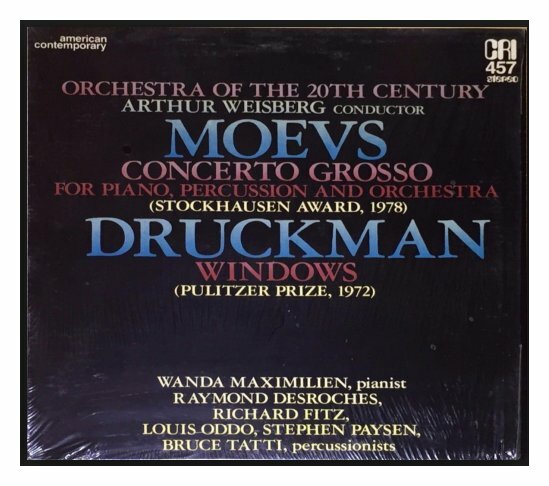 The Concerto Grosso was played beautifully, but the recording, as it turned out, was somewhat disappointing because it should have been clearer. Certain things were in the score and were played, and you don’t hear them in the recording. BD: So it’s an engineering fault? RM: Yes, and that upsets me. You work hard to get it right, but you can’t hear some things which were important to me — the harp for example. BD: But they’re not so important that you would withdraw the record from the market? RM: Oh, no, no, no. It’s just that there are details that you don’t hear. I suppose that dates me because partly I was there at the recording session. I wasn’t aware of the fact that those things weren’t being registered. Perhaps I should have been aware, and stopped the session and had them start over. It’s been on my mind ever since. BD: The only way is to go back and and re-edit it from original multi-track tape? RM: I wonder if you hear them even on that. They did a number of takes of various passages, and we listen to all of them and we took the best. Even so, when the record came out, some things you just didn’t hear. Of course the performance was very good. BD: Is there any chance that this cut-and-piece method then becomes a fraud? RM: Oh, I don’t think so. Why should it? BD: Because it’s not a true performance. RM: They’re usually right! It’s intonation problems usually, and if it’s not quite in tune, they don’t want to have that immortalized, and neither do I! [Both laugh] So they’ll play it again until they’re satisfied. There’s nothing wrong if you have the chance and it’s all part of a performance that’s there in the mood. So the possibility of doing that is legitimate. Of course there are recordings made of actual public performances in which that doesn’t happen. BD: One shot and that’s it! RM: Yes, and there you have the sweep of the music without interruption, without a change from beginning to end. I suppose you can hear that, too. BD: Which is better, or should they both exist side by side? RM: I find the difference so subtle that if there is a mistake or something that’s not heard at all, it’s worth it to re-do it and get it in there. That’s just what’s been bothering me about that piano recording. RM: I always hope that what I consider to be the nice and expressive sounds will be appreciated also by the listener. I know some of my friends who say it’s just too remote and they can’t respond to it. I don’t understand that because to me it’s a direct and clear representation. So all I can say is listen again. I don’t know what else to do about that. Some people become enthusiastic, of course, and react the way I tend to react. But certainly every person brings his own cultural baggage to a performance, and we can only hope that we’re communicating in a positive way. Whether or not we can ever communicate exactly, I don’t know. I suspect not. Sometimes, when I’ve been to performances, there’s noise in the auditorium. People are shuffling and the fans are going and I get the sense that maybe twenty per cent of the energy I put into that piece is coming back, which is painful. BD: That’s not enough, is it? RM: But I think even for the greatest composers that must be true. Think of Beethoven, for example. We listen to him. From doing it myself all my life, the amount of energy that he must have put into a piece in order for us to get as much as we do is staggering. I don’t think we could ever know how much energy he had to generate to put into to produce it, and how much is actually conveyed to us. There’s a kind of entropy that sets in. But he wrote that energy into the original. BD: Is any of that lost because of over-hearing and re-hearing his works so many times? RM: I’m sure after a while one becomes callous, even in the Seventh Symphony, which is like a dynamic explosion. It’s hard to conceive of that amount of energy in one man. I suppose, though, if we had it as background music, it could be exploding there and you could go on eating your dinner! [Both laugh] It’s all in the outside world. You can’t prevent that dissipation. It’s too bad, though, because it certainly does cross my mind when I’ve experienced it myself. I know the amount of energy I put into something, and you can feel in a performance that only a fraction of that is being conveyed or received. There’s such a loss en route. I wonder sometimes in poetry or painting, whether the situation is the same. BD: Do you ever feel you or your music is competing against the Beethoven — or another work — on the same program, or a work they might have heard at the last concert, or a record played last night? RM: I don’t feel that. I haven’t had a sense of competition from Beethoven because I learn from him, and I mention him as he is close to me. I learn from him, and I see how he solves his problems and how he handles proportions, so I don’t feel any sense of competition. Of course, what an audience responds to is up to them. They can just wait until the new piece is over, and then settle back and let the old piece wash over them. I can’t do much about that. BD: What proportion of concerts should be new pieces? RM: You mean, single concerts? BD: Either a single concert or over a season. RM: It seems to me that each concert should have a contemporary piece on it to show which century we’re living in. I don’t think that it’s necessary to have concerts of all contemporary music, though I must say that in New York those are the kind I generally attend. BD: There you can get a smattering of a number new things all at once. RM: Yes. If the standard concert has a Mendelssohn and a Grieg, and then a piece by somebody new, I won’t bother. BD: But you’re a specialist. RM: Yes, so I suppose I’m not the best person to ask. BD: I would think that for the general public, the Mendelssohn and the Grieg would bring the people in, and they get the bonus of hearing New Composer X.
RM: Yes, that’s the theory, but I find that maybe they’re already inclined that way. But a concert of all contemporary music, especially chamber music, tends to be much more alive and interesting, and generating more response than the other kind. For example, if you went to any of these performing groups in New York — and there are a number of good ones — who will include a nineteenth century work at the end after doing these contemporary pieces, everything seems to fall flat because the interest has dissipated. BD: I guess those are the people who just want something new. They don’t want to hear anything they’ve heard before. BD: But didn’t earlier audiences want that? Audiences of the nineteenth century usually wanted new things. BD: When did we lose it? RM: [Laughs] I don’t know! At one time if you started playing sixteenth or seventeenth century music on the program, nobody wanted to hear that. They were too strongly biased the other way, certainly. BD: Now the pendulum has swung completely the other way. RM: Now it’s swung completely the other way, yes. BD: Is it coming back to the middle again? RM: When you asked me my view of the future, this is part of my thinking. It’ll have to swing back somehow, because as the past recedes and becomes more archaeological, eventually it will disappear. In fact, that will be the end of the culture, and that’s an unacceptable termination seems to me. So something will have to happen. RM: [Laughs] I would say that if you are trying to communicate something the way we were discussing before, and that’s of value, and you succeed in communicating it and setting down a new statement, then that becomes important, and that becomes the most important thing. It’s more important than putting out a new product in machinery, for example, because it makes a statement about our position in the world, in our life, which is more germane to our existence. It is our raison d’être. BD: Even though greater numbers of people might use the machine than would listen to a piece of music? RM: The machine would be certainly useful. It can be useful but when it’s not destructive, of course. BD: It’s like imposing an occasion on the music, rather than the other way round. RM: Yes, I do. I hope I come right within the main western tradition, certainly starting with Bach and Beethoven — composers everybody’s heard of. I think I'm part of the tradition that we epitomize. Stravinsky, for example, was saying that he came from a Russian off-shoot, or a Slavic off-shoot of the main tradition because he embraced the Russian nationalistic features, which he got from Rimsky-Korsakov. He said he had started out in a marginal reference to the main, but he did his best to correct that — if you want to call it a correction — first by his neo-classicism, and then his serialism, which are all part of the main thrust. BD: Are there some of your students who have emerged and are now making names for themselves in the compositional field? RM: I should mention Richard Wilson, who first started studying with me at Harvard. Then when I went to Rutgers, he came to graduate school there, and he’s been doing very well. 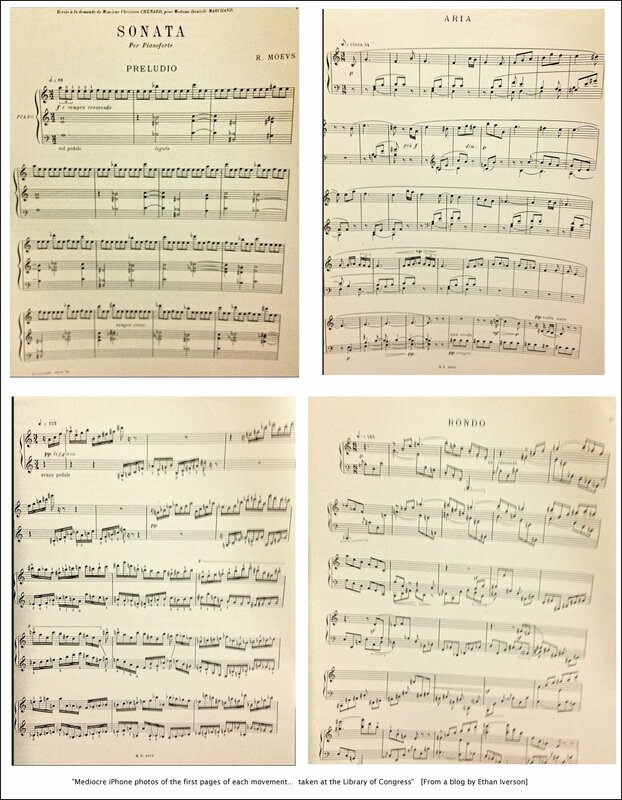 He’s a very good composer and pianist. He runs the Vassar music department, and has a large body of compositions by now. BD: Some of them are recorded? RM: Oh, yes, of all sorts — orchestral, chamber, piano. He’s certainly been a very good composer who has maintained his activity unflaggingly over the years. And he’s a fine person. BD: You’ve written in all styles, for most combinations? RM: Pretty much by now, except opera. RM: Mainly because no one ever asked. It’s not something I would embark on by myself. BD: But you’ve written that BA Brief Mass. RM: Yes, and I’ve written dramatic music for voices and orchestra. RM: I rather like to write for the human voice. You can take advantage of the text most of the time, which helps to guide your sense of what you should ask the singer to do rhythmically, and also melodically, according to the scansion of the text, and the accentuation, and the meaning. It’s interesting to work with that kind of frame. I find it useful. Then it’s easy for music to express or to back up and support the images and sentiments of the text. If a listener is hearing it and can understand the words, then you have a clearer sense of what the music is portraying. So it’s rather nice to be able to take advantage of that. You can do things, and the text will explain, and the listener can respond. BD: So it’s an additional driving force? RM: Yes, it becomes a supporting force. Of course, it’s easy to overdo that, but if done with care it can be nice. BD: Now you’re in the midst of the string quartet. RM: Yes, I have to get back to that now. BD: Then, have you got an idea for a piece after that? I was just wondering how far ahead you plan. RM: At the moment, no. That’s as far as I’m going right now. I’ve got to decide whether to have a third movement or not of the string quartet. I suspect that’s what’ll have to come, knowing what’s happened so far. So I’m concentrating just on that now. BD: Do you get an idea when you’re on a train or in a car and jot it down? RM: It’s never as expressive as that. I try to keep it in my head all that time, so when I do get down to work I’ll have some sense of what I should be doing. It’s more like that. RM: [Laughs] Well, I’m glad I’ve been allowed to be one! BD: Thank you for spending some time with me this evening. RM: Thank you. It’s a pleasure to talk with you. You’ve been asking interesting questions! This conversation was recorded in Chicago on December 28, 1988. Portions were broadcast on WNIB in 1990, and again in 1995 and 2000. This transcription was made in 2016, and posted on this website at that time. My thanks to British soprano Una Barry for her help in preparing this website presentation.